Black Bruin will be exhibiting its radial piston cam lobe motors and hydraulic solutions for mobile and industrial applications at BAUMA 2019. Located at booth 502 in hall A5, our team is ready to give you insights how Black Bruin provides benefits for construction, mining and material handling equipment. 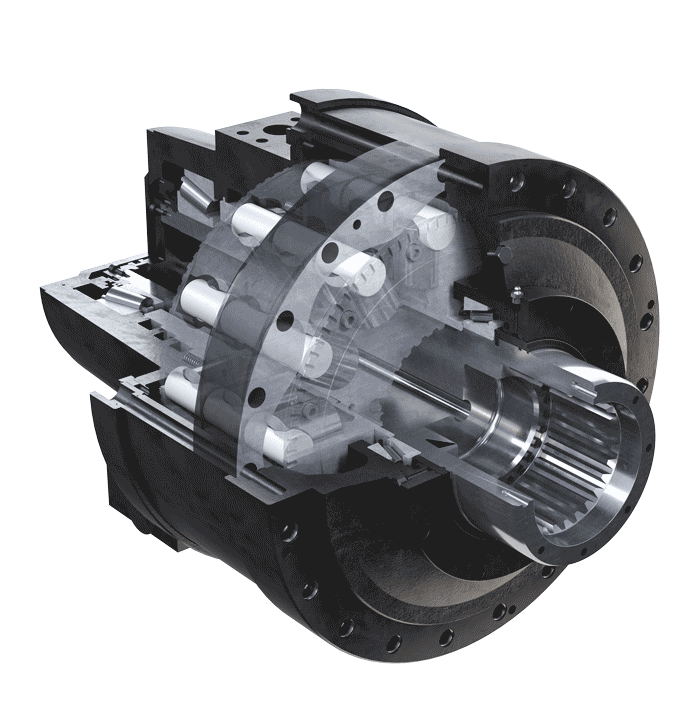 Black Bruin Inc. is one of the world’s leading suppliers of radial piston-cam lobe hydraulic motors and rotators for mobile and industrial applications. With Black Bruin driven wheels you are able to drive through harsh conditions when others get stuck! The most powerful Black Bruin’s, rated up to 18900 ccm and 500 kW. S Series direct drive transmits hydraulic energy efficiently without gears and is available with several output shafts, including the useful through hole version. The Black Bruin On-Demand Drive System is a complete transmission solution for tractor-driven trailers and working equipment. The system enables smooth operation of the machine and is designed for agricultural, forestry and earth-moving applications.